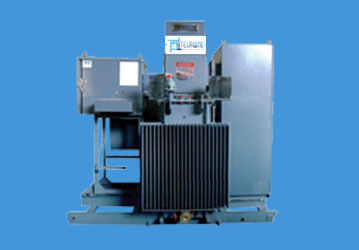 ﻿ Pad Mounted | Telawne Power Equipments Pvt. Ltd.
Pad Mounted Substations are designed for use in distribution application as well as for dedicated loads. Pad mounted substations are easy to install and are of low cost. These are basic & simplest configuration required for distribution substation. Pad Mounted Substation are designed in accordance with IS 14786 / IEC 61330 standards with degree of protection for IP 54 or as per customer requirement. Phase / Frequency 3 Phase / 50 or 60 Hz. Vector Group Dyn1 or Dyn5 or Dyn11 or any specific.